It is uncertain whether or not the Kambia Water Supply System will be sustained despite reduction in the cost of water rate from Fifteen Thousand Leones (Le 15, 000) to Ten Thousand Leones (Le10, 000) per month. 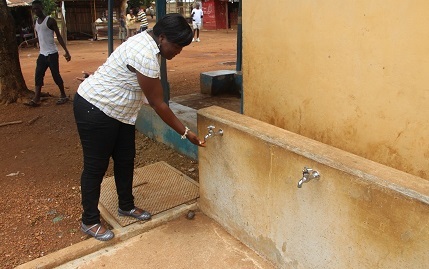 In April 2013, residents in the Kambia District reverted to the old way of fetching water from bore holes for a period of one month, as the management of the Water Supply and Sanitation Board was left with no option but to shut down the system. At Osrogba very close to Dodowa (40km from Accra) in the Shai Osudoku district of Ghana’s Greater Accra Region, one thing is obvious – no landowner or landlord is ready to release land for the construction of a latrine, a facility which is taken for granted by many. This is because it is considered a taboo, a repulsion and disincentive to sell or lease their land for such purpose – which situation has largely contributed to open defecation by the 270-member community for many years. 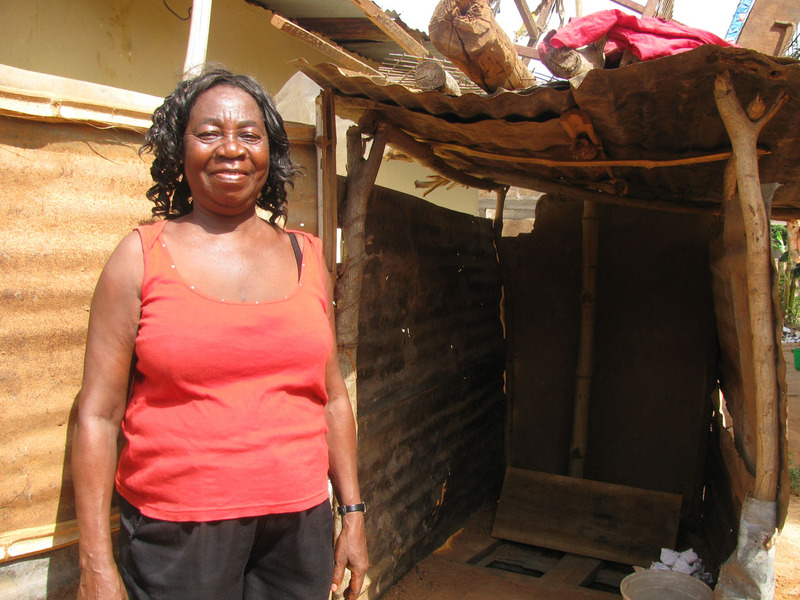 However, the situation has not deterred 55-year-old, Grace Akwete, from building her own 10-feet deep latrine at absolutely no cost, after using the bushes for years without number. Hear her when asked where she defecated before constructing her own latrine: “Please I did it in the bushes,” she replied bluntly. She explained that she resolved to build her own latrine, after she had become convinced it was the right thing to do, when Pronet-Accra, partners for WaterAid Ghana (both non-governmental organisations in water and sanitation), visited the community and spoke with them about observing proper sanitation and hygiene. She advised her fellow community members to follow her example, saying it only took about a week with assistance from her son, some old roofing sheets, wood and nails to construct. Confirming that landlords were reluctant to release land for the construction of latrines in the community, a four-member team led by Edwin Osei Kumi, Pronet-Accra, and also comprising Adwoa Pabby and Yakubu Karim Alhassan, project officer and programmes officer respectively of WaterAid Ghana, which was on a monitoring visit to the community, was called in to resolve an issue where a landlord who only gave his name as Mr. Johnson, had refused to give his blessings to the construction of a latrine by his tenants. But when the team together with the community’s six-member WATSAN committee visited, he alleged he had stopped the tenants because they had just started constructing a latrine on the land without first seeking his permission. “When I came from Nigeria, I realised that they [tenants] had dug three holes for use as a latrine so I told them ‘I cannot stop you from going to toilet there but when it becomes full do not dig any more holes for a latrine’”, he narrated. “As I stand here and you come and see me for land and I decide to give you that portion and you see toilet will you buy? So I told them to fill up the hole dug – fortunately they had not started using it – I have asked surveyors to map out the land and will not allow construction of a toilet there,” he reiterated. However, after being persuaded to release the land to help check open defecation, which he was also guilty of, he consented and permitted the construction to continue but asked if he would also be allowed to use the facility once it was completed, which drew laughter from the team. “I defecate into a black polythene bag and dump it into the public latrine because I cannot squat on it – It is not hygienic,” he said. Meanwhile, following after Grace’s example, two more women have started construction of their own latrines and one of them gave her name as Esther Haduo. But the Osrogba community has not only benefitted from sanitation and hygiene education from Pronet and WaterAid. An iron removal plant has also been constructed to treat their unwholesome water and the project was completed and handed over to the community in October 2012, according to the WATSAN committee. Speaking to the visiting team, the committee said to access the water, each household, 40 in all, pays GH¢1 each month for the water fetched, regardless of how many buckets a household fetches during the period. However non-community members are made to pay 10Gp for a 36-inch sized bucket each time they fetch, while a school in the community is made to take the water for free as their contribution to their ward’s education and welfare of the staff. Emmanuel Zanu Bukor, Watsan Chairman, however indicated that it was difficult collecting money from January to March because it is the lean season, adding that collection picks up from April, when the community’s major crop – mango, is in season. He divulged that the facility is mostly patronised during the dry season and that many of the community members harvest rainwater during the wet season, hence the low patronage during that period. Zanu Bukor also disclosed that the watsan committee had come up with some bye-laws on animal rearing, in order to keep the community clean, whereas they are using endogenous means to keep the tap area clean – no slippers ought to be worn while fetching water. The watsan chair however said they were yet to implement a bye-law against open defecation, which states that whoever is caught openly defecating will be arrested and prosecuted. Osrogba’s watsan committee has also benefitted from a series of training (four in all), after its formation, which has included an endogenous development training by the Centre for Indigenous Knowledge and Organisational Development (CIKOD), also a WaterAid partner. Meanwhile in a related development, the authorities at the Shai Osudoku District Hospital at Dodowa agreed to provide a polytank to complete the mechanisation of a borehole for which an iron removal plant has already been provided by Pronet. Sanitation in Yeliboya Island remains unsafe….. The water situation in Yeliboya Island has improved, as residents of the island can now fetch clean water from a nearby village called Moribaya Village, where a water source was identified. However, despite the improved water situation, the sanitation remains a serious challenge. It could be recalled that in the year 2012 Sierra Leone experienced terrible cholera outbreak, with a death toll of about four hundred. The outbreak started in two districts in the Northern Province- Kambia and Port Loko District. One year after the cholera outbreak devastated the lives of people, we visited Yeliboya Island- the remote village believed to be the source of the cholera outbreak- to see whether the situation has changed from the last rain season. According to the Town Chief and Chiefdom Speaker in Samu Chiefdom, Pa Adikali Bangura, the toilet facilities built by Medicins Sans Frontieres (MSF) and other NGOs since the year 2005 have been full to the brim, and therefore the only alternative they have is to use hanging toilets located at the beach, whilst children continue to use the beaches as toilet place. He said what they need most urgently is better toilet facilities. It is the responsibility of the Kambia District Council to provide safe water and improved sanitation for the people of Kambia. Council Chairman, Samuel Sheik Alikali III informed us that the Kambia District Council has facilitated the construction of toilet facilities in the island two years ago (in 2011) through their representative in council, Abubakar Maddieu Kamara. He said the population in Yeliboya is increasing rapidly, describing it as a migrant population, which makes it difficult or rather impossible for them to be satisfied. He noted that it is difficult to maintain durable toilet facilities on the island as it is full of sand. Although the Chairman informed us that they have constructed toilet facilities in the island, a good number of people we spoke with did not mention about the toilet facilities claimed to have been constructed by the council. However, whatever the Kambia District Council and other NGOs claim to have done, there is need for them to do more to ensure that the people are no longer affected by the cholera epidemic. The Maternal and Child Health Aid at the Yeliboya Health Centre, Mafereh Kanu, who treated those who were ill and dying from cholera during the outbreak in 2012, said since the start of the rainy season they have not received any case of cholera. She informed us that they are advising people to keep their environment clean and to also put chlorine tablets into their water before drinking it, and assured that as a result of the awareness raising campaign in the community the situation has improved. Elu à la tête du Partenariat des Opérateurs d’eau pour l’Afrique (WOP-Africa), le nouveau coordonnateur du Partenariat des Opérateurs d’Eau pour l’Afrique (WOP-Africa), Siméon Kenfack, était en visite de travail au siège de l’Association Africaine de l’Eau (AAE) à Abidjan, le 19 août 2013.
capacités grâce à des partenariats entre professionnels du secteur ». Le WOP-Africa hébergé par l’AAE et basé en Johannesburg en Afrique du Sud, est financé et conjointement mis en œuvre avec ONU-Habitat, l’USAID, l’International Water Association (IWA), l’Alliance mondiale des Partenariats des opérateurs d’eau (GWOPA) et la Facilité africaine de l’eau de la Banque africaine de développement (BAD). 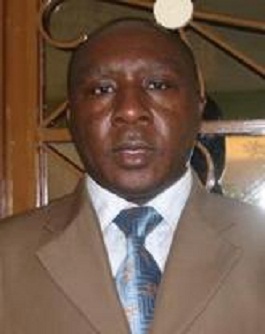 De nationalité camerounaise, M. Kenfack est le troisième coordonnateur du WOP-Africa depuis le démarrage du programme en 2009. Il est titulaire d’un doctorat en sciences et technologies de l’environnement de l’Ecole polytechnique fédérale de Lausanne (EPFL) en Suisse. Riche de plus d’une dizaine d’années d’expérience professionnelle dans le secteur de l’eau et de l’assainissement, l’homme est très averti des enjeux du secteur. Mr Paul Victor Obeng, Senior Advisor to Ghana’s President, John Mahama, has called on stakeholders in the water and sanitation sector to be bold in putting themselves in check if there has to be improvement. “Call yourselves to order, be prepared to name and shame the non-performers”, he added. Mr Obeng was speaking Wednesday, August 14, 2013 at the opening session of the three-day Mole XXIV (24) Conference being at Fumesua near Kumasi in the Ashanti Region, themed “Building effective partnership for scaling-up sustainable sanitation services in Ghana’’. Mole Conference annually brings together state agencies, civil society organisations, private participators in water and sanitation to brainstorm on how to improve access to these services. It is being organised by the Coalition of NGOs in Water and Sanitation (CONIWAS) with support from many sector players including the Ministries of Water Resources, Works and Housing and Local Government and Rural Development. He stated that Ghana had not achieved its MDGs in water and sanitation with less than three years to 2015, the target year, hence the theme, saying, something went wrong and there is the need to focus and evaluate on the sector’s key objectives. “They should also ask why they want to build an effective partnership and whether or not the first partnership did not work. And why it did not work, who did not work, among others would help them make amends,” he stated. There is a sense of urgency as well as dynamism to recover the lost thus, set implementable and certain standards to resolve the situation, he urged participants. Professor Mrs Esi Awuah, Vice Chancellor, University of Energy and Natural Resources, Sunyani said even though private sector participation had increased, work could not progress due to bribery and corruption, which had made contracts land in the hands of incompetent people. She said political interference had also had a negative impact on the sector. “This discourages people from being responsible and encourages nepotism, tribalism and bribery,” she stated. Countries are becoming dependent on development partners for service delivery since governments have low knowledge on quality delivery, she said, adding that every community is the determined by the quality of mind set of its leadership. Mr Akwasi Oppong Fosu, Minister for Local Government and Rural Development, tasked District Chief Executives (DCEs) to root-out indiscipline and politics and execute government policies and bye laws in the sector. Any outbreak of disease related to sanitation and lack of safe water would have no boundaries and would not exempt anyone with a political tag, he explained. Dr Doris Yaa Darteh, Chairperson of the Graphic Communications Group said, waste, if unattended to is a crisis and if nothing is done it would become a disaster. She appealed to government to deal with plastic waste by educating the public to adapt the habit of separating waste for easy recycling by those in the business. In a speech read for him by Mrs Vida Akyea Yeboah, Assistant Coordinating Director of the Ashanti Regional Coordinating Council (RCC), the Ashanti Regional Minister called on parents and guardians to inculcate in their wards of school going age the practice personal hygiene. 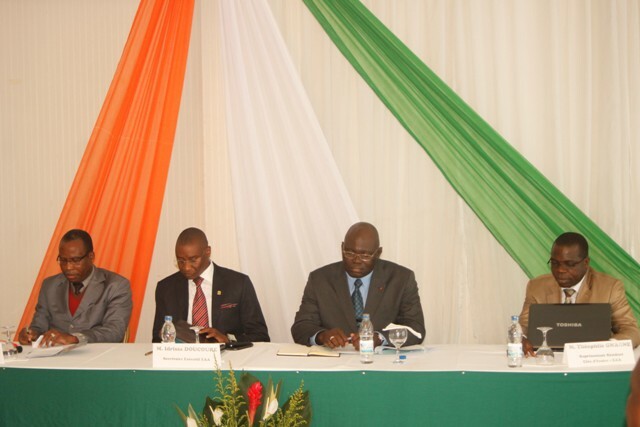 The 10th Annual General Meeting (AGM) of the General Assembly of the Coalition of NGOs in Water and Sanitation (CONIWAS) came off Tuesday, August 13, 2013, as a precursor to the 24th Mole (Mole XXIV) conference. A major decision taken by members was the unanimous selection of Mrs Mariam Don-Chebe of the Rural Women’s Initiative for Development & Empowerment (RUWIDE) as new Vice Chair of CONIWAS. Her longstanding experience and operation in the northern sector of Ghana were considered vital in complementing the current chairman, Mr Farouk Braimah of People’s Dialogue. Following the death of former chair, Victoria Daaku, CONIWAS’ Executive Committee, at its first meeting in March 2013, approved Mr. Braimah, then Vice Chair, to be the Chairman in accordance with the Coalition’s constitutional arrangement, specifically Article Nine. Members observed a minute’s silence in honour of the former chair, paying glowing tribute to her hard work and dedication. The late chair passed away on the night of Tuesday, January 8 2013, aged 58. Members also approved the Coalition’s Audit and Annual reports for the year-ending 2012. Meanwhile, the AGM will be concluded on Thursday, August 15, 2013 after Tuesday’s meeting was adjourned due to time constraints. Decisions would be reached on a number of proposed constitutional amendments. participants putting the need for scaling up sanitation coverage in the country under the spotlight. collaborations among the stakeholders to scale up Ghana’s performance in sanitation delivery which is the Millennium Development Goal-seven (MDG-7). Mr P. V. Obeng who represented HE John Dramani Mahama, President of the Republic of Ghana, conceded that something definitely went wrong, hence the country’s inability to progress in the MDG-7, observing that stakeholders were looking at a way of building partnerships at a time they should have been evaluating performance in policy implementation as a way of winding up activities on the MDGs. He called on the stakeholders to develop enforceable standards for achieving the MDG-7, which seeks to achieve 54 percent coverage in sanitation, asserting that one of the reasons the country had under-performed in sanitation was the lack of urgency in the implementation of policies. Ghana has however been able to achieve only 15 percent with just two years left to reach the target date of 2015. “We all know we have underperformed in the sanitation sector, so whatever needs to be done should be done with a certain level of urgency in order to recover lost time,” Mr. Obeng stressed. He continued, “We need a complete passionate evaluation of what has been done, who did what and who has not done what, to be used as building blocks for scaling up performance,” observing that the scaling up cannot happen if there are no workable plans in place. The Presidential Advisor admonished participants to institute a new partnership in public education and dissemination to sensitize the public on the new ways they should handle waste. and villages, and people practicing open defecation, that is where the conscience of Ghanaians is,” Chairman for the opening, Dr. Doris Yaa Dartey stated. Dr. Dartey, who is a Water, Sanitation and Hygiene (WASH) communications expert, raised the alarm that sanitation has long been a crisis in Ghana, and if nothing is done to reverse the trend, it would become a disaster, as people would begin to see it as normal. “Sanitation is at the heart of our national development and so it must be tackled with some urgency with all hands coming on deck,” she added. 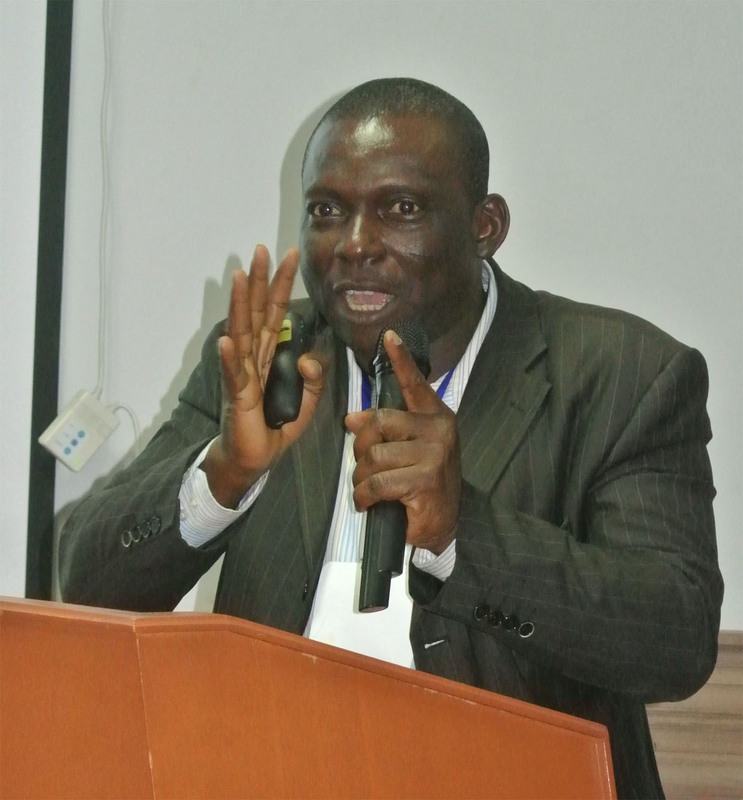 The Vice Chancellor of the University of Energy and Natural Resources, Prof. Esi Awuah, who delivered the theme message, observed that one of the major inhibiting factors in sanitation delivery in Ghana was the cultural behavior which makes it a taboo for people to handle faeces. She observed that although private sector participation in the sanitation has increased, work could not progress as expected, since bribery, corruption, nepotism and tribalism have caused the award of contracts to incompetent people in the sector. The Vice Chancellor expressed worry that countries were becoming dependent on Development Partners (DPs) for service delivery in the sector, since governments themselves have low knowledge in sanitation. Farouk Braimah, Chairman of the Coalition of NGOs in Water and Sanitation (CONIWAS) lamented that over five million Ghanaians still practiced open defecation. He believed that although the country still has a tough time meeting the MDG-7, when all stakeholders play their critical roles, success can be achieved. Partners (DPs) and other stakeholders together to dialogue on ways to improve service delivery in the sector. Prof. Esi Awuah, Vice-Chancellor of the University of Energy and Natural Resources, Ghana, has observed that although private sector participation in the sanitation sector has increased, work could not progress as expected since bribery, corruption, nepotism and tribalism have caused the award of contracts to incompetent people in the sector. Delivering the Theme Address at the just ended 24th Mole Conference at Fumesua, near Kumasi Wednesday, August 14, 2013, the Vice Chancellor expressed worry that countries were becoming dependent on Development Partners (DPs) for service delivery in the sector since governments themselves have low knowledge in sanitation. Ghana has however been able to achieve only 15 per cent with just over two years left to reach the target date of 2015. It aimed at seeking ways of to build stronger collaboration among all stakeholders for a more efficient sanitation service delivery, as Ghana’s sanitation coverage still lags behind, recording 15 per cent nationwide coverage, with just two years ahead for the 2015 Millennium Development Goals (MDGs) deadline. Ghana has set a target of 54 per cent for sanitation coverage, which includes access to hygienic and improved toilets for households and institutions, across the country. At the top of the priorities list of the Ministry of Local Government and Rural Development in Ghana is the issue of sanitation, sector minister, Hon. Akwasi Oppong-Fosu has said. Delivering his address at the opening of a three-day water, sanitation and hygiene meet dubbed the 24th Mole Conference in Kumasi, Ashanti Region, Wednesday, August 14, 2013, the minister said sanitation will form the basis on which his tenure of office would be assessed. He said the bulk of the work will however be done by the Metropolitan, Municipal and District Assemblies (MMDAs) as the various localities fall under their jurisdictions. “I have therefore told the Municipal, Metropolitan and District Chief Executives that any of them who will under-perform and fail to deliver on sanitation will go before I go,” the minister stated. The minister cited the lack of enforcement of laws as one of the debilitating factors against sanitation delivery in Ghana, saying this system is fostered through the politicization of issues in Ghana. “People break the law and when they are apprehended, they quickly assume political tags of foot-soldiers and opposition leaders, so they can escape prosecution,” the minister observed. He cautioned that, unless the indiscipline was rooted out no laws could be enforced in the country. “Sanitation-related diseases do not know any political boundaries so we need to deal with the canker of indiscipline in the sector as well as deal with the politicization of issues so that we can enforce policies and laws in Ghana,” Hon. Oppong-Fosu stressed. Professor (Mrs) Esi Awuah, Vice Chancellor of the University of Energy and Natural Resources, has advocated the need for Ghanaians to start paying for the waste they generate. Delivering the Mole XXIV Conference theme address in Ashanti Regional Capital, Kumasi, she called on all WASH sector stakeholders to wean themselves of over dependence on foreign aid and donors for the development of the sector and the provision of water and sanitation services because it is not sustainable. She said “We have become over dependent on our partners so much so that we can’t do anything without their support and we are not willing to sacrifice anything on our own”. 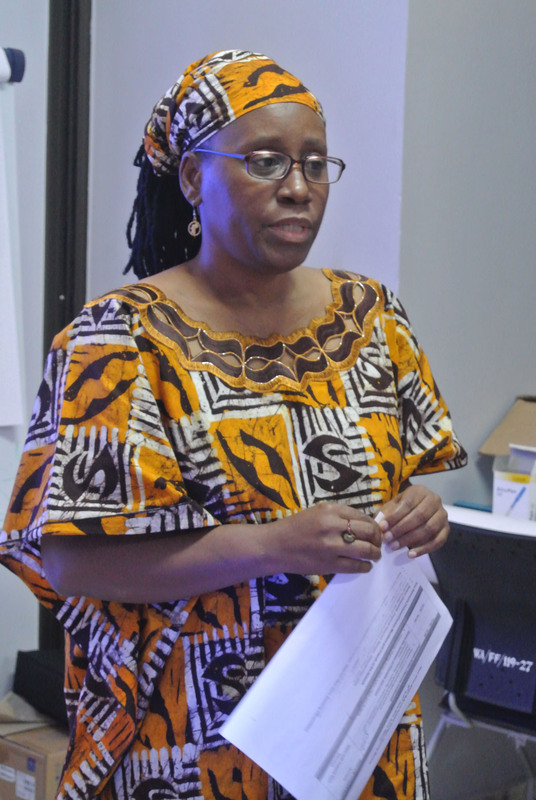 Professor (Mrs) Esi Awuah identified the key challenges facing the sector as lack of well-grounded knowledge in the sector, cultural behaviours and practices, political interferences, bribery and corruption, favouritism and nepotism. She however commended the Ministry of Local Government and Rural Development (MLGRD) for the creation of the Environmental Health and Sanitation Directorate under the ministry and the increasing private sector involvement in issues relating to water and sanitation. This, she believes will help promote accelerated development of the sector. Professor (Mrs) Esi Awuah called on political authorities to put in place measures to raise concerns on environmental and sanitation issues and standards, including the implementation of relevant legislation and their enforcement as well as public education on good sanitation practice. 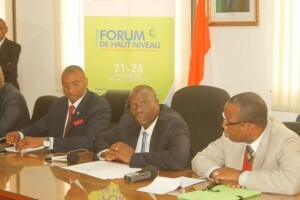 The Vive Chancellor said “There is little being achieved because of lack of collaboration and coordination, adding, there is sometimes even competition between the three – Ministry of Water Resources, Works and Housing, Ministry of Local Government and Rural Development and the Ministry of Education, who jointly have oversight responsibility over the WASH sector. Touching of the theme for the conference, Professor (Mrs) Awuah said partnerships succeed based on relevance and mutual interest of the partners, commitment and passion to succeed and result oriented vision by the parties in the partnership to see it work. It is therefore important for WASH partners to ensure that they are committed to the course of the partnership to see it succeed, she indicated. 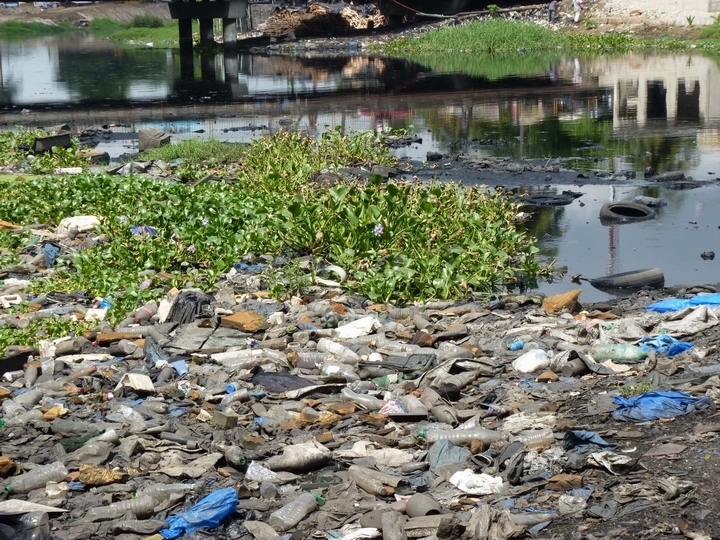 Professor Awuah said the issue of plastics which are non-biodegradable and contributes to insanitary environment has become a thorny one because as a result of unreliable and inadequate supply of water, people rely on sachet water to complement what they get from other sources. She stressed therefore that banning the use of plastics without ensuring first adequate supplies of water could be very troubling since it will deprive people of water, despite the menace of the plastic bags/sachets. Professor (Mrs) Awuah called on government to help provide or facilitate the provision of sanitation facilities to schools and the deprived. This, she believes will help them live a more dignified life by stopping open defecation, preventing sanitation related diseases and promoting good sanitation in schools. The annual MOLE Conference series is organised by the Coalition of NGOs in Water and Sanitation (CONIWAS) in other to offer stakeholders in Water, Sanitation and the Hygiene sector the opportunity to discuss issues affecting their operations, and deliberate on possible solutions that will help promote service delivery. Ghana’s Development Partners (DPs) have called on the government to make sanitation a priority by committing more resources to the sector, to ensure that the laudable policies of the sector are translated into action. They described as great the need for better sanitation in the cities and rural communities, as is the need for safe and affordable water, hoping that government will increase its funding towards the Water, Sanitation and Hygiene (WASH) sector, as well as for the construction of WASH facilities in schools, health centres and urban areas. Anik Desmeules-Raggio, DP Lead of the WASH sector in Ghana at the on-going three-day 24th Mole Conference in Kumasi, 258 kms north of the capital, Accra, called for a strong leadership from the government of Ghana, to help improve the effectiveness of all the efforts provided to bring improved sanitation as well as safe water to Ghanaians. The government, DPs and the non-state actors in the WASH sector have introduced the Sanitation and Water for All (SWA) Compact which brought about a modest increase in government funding. “The SWA Compact has however made no in-roads on MDG targets. A recommitment to the SWA Compact, together with a significant increase in Government’s contribution would be a strong indicator that the country takes the problem of sanitation indeed seriously, and is resolved to address it effectively,” she observed. Anik Desmeules-Raggio, who is also the WASH Sector Lead of the Canadian High Commission in Ghana, added that such a commitment from government would also indicate to DPs that the support they provide will be sustainable. She expressed the appreciation of DPs with regards to the efforts of the government in preparing the right policy and strategic environment for potential new sanitation initiatives in the urban, peri-urban and rural areas. But a lack of clarity prevails around how these will be funded and therefore implemented, observed the representative. 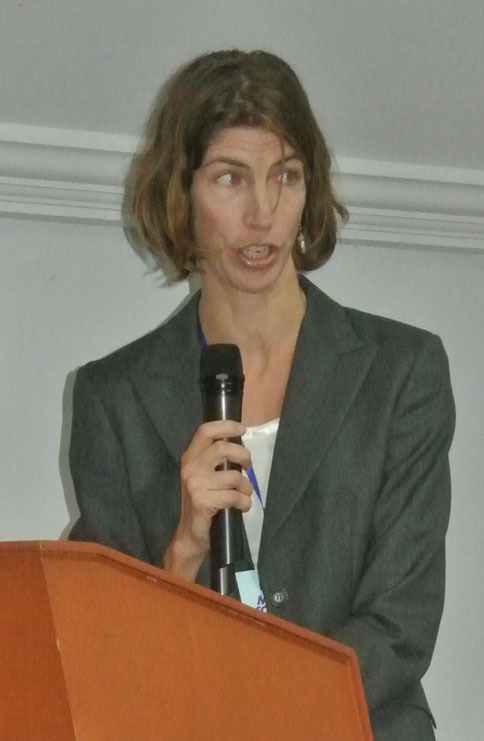 “Ghana’s national policy and strategic environment for sanitation is state-of-the-art, with the Rural Sanitation Model and Strategy (RSMS), as the central document in a suite of policy and strategic documents, reflecting key lessons from the international sub-sector; however, little has been implemented yet,” Desmeules-Raggio stated. She said for financing of rural sanitation and hygiene to be efficient and help achieve open defecation free (ODF) status in rural Ghana, it was important to adopt innovative financing methods. Ghana has few examples of micro-financing and/or other types of community-based financing for sanitation, and Desmeules-Raggio pointed out that those that exist suggest reasonable potential for replication or scale-up. “This is especially true as open defecation free status is more widely achieved and consumers aspire to facilities that surpass the basic pit latrine,” she added. The government of Ghana in 2010 promised to commit 350 million dollars to the WASH sector annually in order to scale up sanitation to meet MDG-7, but stakeholders doubt if this commitment has been met. In its quest to scale up sanitation coverage in the country, the Ministry of Local Government and Rural Development (MLGRD) has moved sanitation to the front-burner of its priorities, sector minister, Akwesi Oppong-Fosu indicated during the opening of the three-day conference. Delivering his address at the opening of the three-day 24th Mole Conference in Kumasi on Wednesday, the minister said sanitation will form the basis on which his tenure of office would be assessed. “I have therefore told the Municipal, Metropolitan and District Chief Executives (heads of the local governments) that any of them who will under-perform and fail to deliver on sanitation will go before I go,” (would be sacked) the minister stated. The minister cited the politicization of issues as one of the inhibiting factors to law enforcement in the sanitation sector in Ghana. “Sanitation-related diseases do not know any political boundaries so we need to deal with the canker of indiscipline in the sector to ensure that we are able to achieve our sanitation aspirations as a nation,” the minister pointed out. “As a Country and a people, we have the expertise and capacity so we should be able to marshal the resources for a change if we step up political commitment, investments and reprioritization of spending in favour of WASH in general and SANITATION in particular,” Farouk Braimah, Chairman of the Coalition of NGOs in Water and Sanitation (CONIWAS), organizers of Mole stated. He cautioned that Ghanaians had become impatient with indiscriminate disposal of raw faeces into drains and in their communities and surrounded by faeces everywhere – homes, markets, schools, churches, mosques, hospitals beaches, and now even grave yards. These and more, have led to the formation of the first ever Think Tank for Sanitation in Africa, which is an initiative of Water and Sanitation for Africa (WSA), a Pan-African Inter-Governmental organisation consisting of 32 governments. It has the main objectives of stimulating intellectual debates, identifying policy and practice gaps, raising the profile of innovations and best practices in sanitation and triggering policy change. The Africa Sanitation Think Tank (ASTT) hopes to accomplish all these through a cycle of research, policy review and stakeholder engagements, through partnership with existing think tanks and institutions, for cross learning and technical support in research, policy analyses and advocacy. Speaking in an exclusive interview at the side of the ongoing Mole XXIV Conference at Fumesua near Kumasi, Director of the ASTT, Mr. Patrick Apoya, intimated that with support from the Melinda Gates Foundation, the think tank, which was launched Wednesday, August 14, 2013 at the conference by Senior Advisor to President John Dramani Mahama, Mr. P. V. Obeng, will begin with an 18-month pilot phase. During the trial stage, the Think Tank, which for now comprises four countries – Ghana, Cameroon, Benin and Senegal, will draw from existing studies and ongoing research from Water and Sanitation for Africa (WSA) and results from the studies organised into three main thematic areas. The areas – sanitation as a business, demand-led sanitation approaches and on-site sanitation, are considered problematic zones through which efforts have been directed lately towards promoting easy, adequate and sustainable access to sanitation for the urban and rural poor. He intimated that the need for a think tank for Africa came up during a high level forum in Cannes, France in November 2012 that was attended by the council of ministers of the 32 member countries as well as other stakeholders like international organisations and NGOs. “So it emerged from that forum, that we need a special power of reflection to re-look at our path of approaches to sanitation and see if there are pieces of success that we can put together to make the progress. Once they mooted the idea, a group was constituted to reflect and develop the concept on how an African sanitation learning and coordination platform will be like,” Patrick Apoya intimated. Further divulging it was that group that gave the name Africa Sanitation Think Tank, and worked out modalities for its formation, he disclosed that presently the think tank has two core staff members being housed by the WSA Burkina Faso office who are working with four policy managers from the four countries engaged in the pilot with occasional technical support from WSA staff. The ASTT is also working in close collaboration with the African Ministers Council on Water (AMCOW) towards interfacing and up-scaling of their policy work. Incidentally, the second phase of the ASTT implementation process will involve scaling up of the lessons and experiences obtained from the pilot phase to benefit the rest of the African continent. 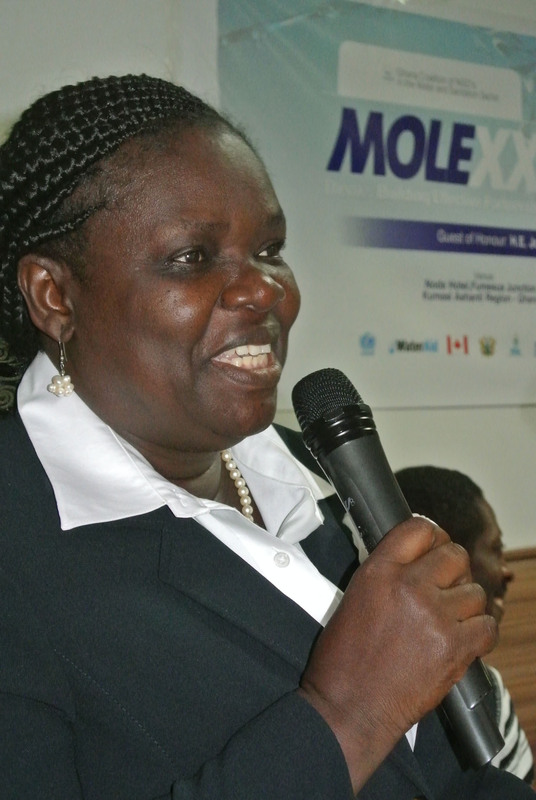 The 24th edition of the Mole Conference series (Mole XXIV) got off to a spectacular start on Wednesday, August 14, 2013 with women providing an unanticipated but vital direction to drive frank and witty discussions. It was a rare day at Mole when the close of day came too quickly for many participants, who appeared tireless and still willing to continue discussions. In terms of numbers, it was all square as seven men and seven women respectively took to the speaker’s box. But it was the women who lighted up the day, creating an enabling environment for a hearty deliberation. The main architects of the day were chairman (or class prefect) for the day, Dr Doris Yaa Dartey, a Water, Sanitation and Hygiene (WASH) communications expert and the theme speaker (or teacher), Prof (Mrs) Esi Awuah, Vice Chancellor, University of Energy and Natural Resources. They were so creative and versatile with their communication; employing anecdotal use and teaching skills in a manner that made the bitter truths they told seem like praise-singing. They made sanitation sound like the best ever topic to discuss. For her part, Prof Awuah took her listeners from a serious conference setting into a typical teaching environment where a teacher is free to create a humorous atmosphere that made her criticism of systems, institutions and those who run them appear very harmless. Suffice it to say that she did make her point, and very firmly too. Dr Dartey and Prof Awuah were complemented by the likes of Ama Ofori Antwi of the Environmental Services Providers Association (ESPA), Betty Akumatey, who represented The Trend Group; and Akua Akyaa Nkrumah of Waste Enterprisers who made various presentations on the first day and did not fear to speak their mind. Long after Mole XXIV is over, participants will look back on the role women played in driving and sustaining interest in discussions on the opening day. 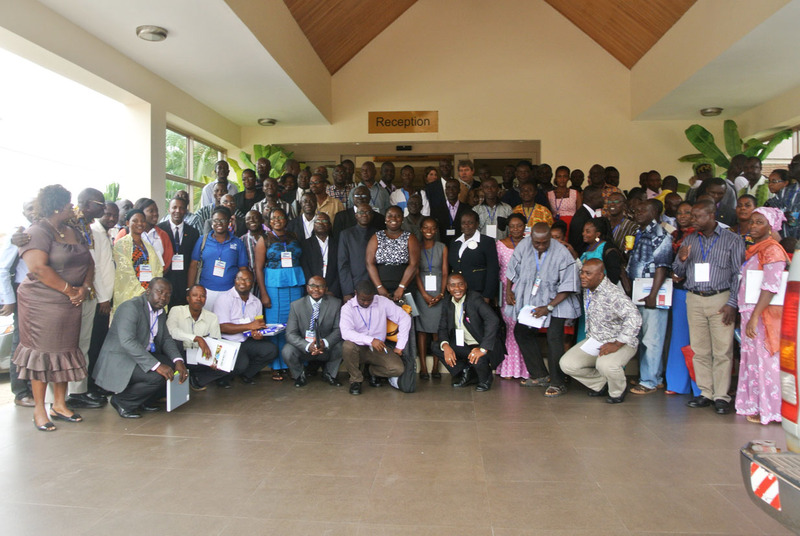 More than 100 experts and major players in Ghana’s water, sanitation and hygiene (WASH) sector are set to meet in Kumasi for the 24th in a series of annual dialogues on Ghana’s WASH sector known as the Mole Conference, from Tuesday, August 13 to Friday, August 16, 2013. The Mole conference series, which has become the number one multi stakeholder conference on water, sanitation and hygiene in Ghana, will this year be on the theme: ”Building Effective Partnership for Scaling-Up Sustainable Sanitation Services in Ghana”. The key objective of the conference is to take stock, share experiences and engage in collaborations to find sustainable solutions to Ghana’s current sanitation crises. 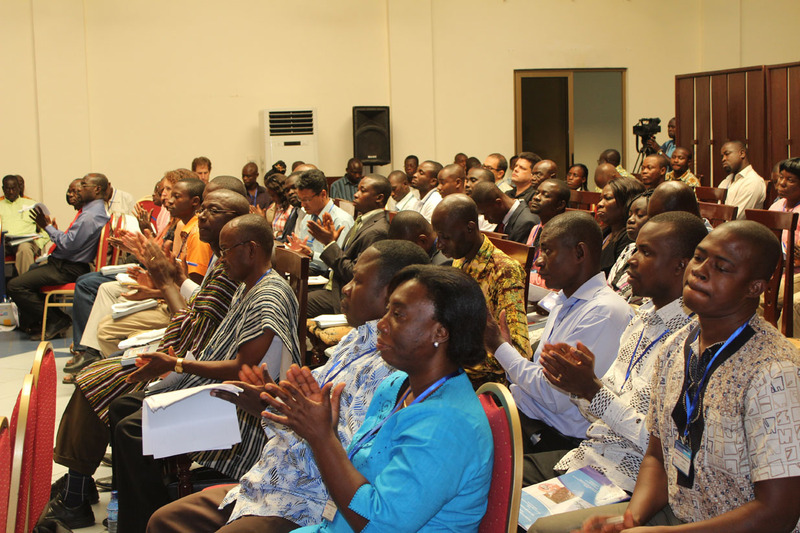 According to the organisers, the Coalition of NGOs in Water and Sanitation (CONIWAS), the conference will specifically explore options and opportunities for sustainable sanitation delivery in Ghana; examine public/private partnership models for accelerated sanitation delivery and ascertain the relevance of operation, maintenance, and user fees as financing options for improved sanitation delivery. It is also expected to share knowledge and expertise on sanitation delivery and provide recommendations for policy advocacy and influencing. In an exclusive interview Thursday, August 1, 2013, Mr Benjamin Arthur, Executive Secretary of CONIWAS, said the choice of this year’s theme was informed by the fact that all NGOs in the sector seem to be doing their own thing with no proper coordination. “So we don’t have any mechanism to be coordinating all these projects and initiatives…We think that if we can bring people together and build that relationship and know what is going on, we can at least put things together and it can move us ahead in terms of sanitation delivery. And more also know the general challenges each individual organisation, especially the private sector is facing in scaling up sanitation,” he stated. Mr Arthur disclosed that the innovation for this year’s conference will be a value added component, which will comprise various organisations sharing and indeed demonstrating various projects in sanitation they have embarked on, highlighting the successes and “challenges that are preventing them from scaling up”, to inform dialogue on the way forward for such projects or innovations. The Mole Conference series is named after the venue of the maiden edition, Mole, in the Northern Region of Ghana, and brings together sector practitioners from NGOs, Government, Private Operators, Networks, CBOs, CSOs, etc. to dialogue, learn and share knowledge/ information on specific themes that affect the sector. This year’s edition is being organised with the support of WaterAid Ghana, International Resource Centre (IRC), CARE-KASA, the United Nations Children’s Fund (UNICEF), Plan Ghana, the Canadian International Development Agency (CIDA) and CHF International, all organisations in the WASH sector, among others. 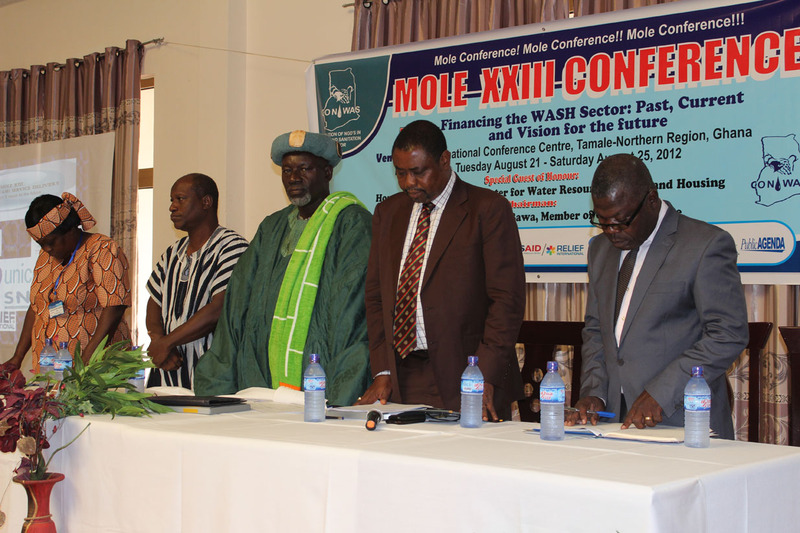 Last year’s conference, Mole XXIII, was held from August 21 to August 25 in the Northern Regional capital Tamale with the theme: “Financing the WASH Sector: Past, Current and Vision for the Future” and was chaired by Vo-Na Baba Bawa, Member of the Council of State. WaterAid Ghana, a non-governmental organisation, has hailed the declaration by the United Nations of November 19 as World Toilet Day, saying it will use commemoration of the day to draw the attention of Government to the gravity of the sanitation problem. “We’ll certainly be working with private sector, civil society organisations, academia and others to use World Toilet Day to draw attention to governments of the enormous scale of the problem,” Dr. Afia S. Zakiya, WaterAid Ghana’s Country Representative stated in a statement copied to the press. The General Assembly resolution was unanimously adopted on July 24, 2013 in New York and calls on UN Member States and partners to promote behaviour change and policies to increase access to sanitation for the poor, along with a call to end the practice of open defecation. World Toilet Day, before the UN declaration, was marked by civil service organisations and non-governmental organisations worldwide including WaterAid, although it was not recognised as an official UN day. It is widely believed the official recognition of World Toilet Day by the United Nations will bring about the much-needed stimulus to improve sanitation coverage or access globally. According to available statistics, 2.5 billion people around the world currently lack access to safe sanitation or improved toilets, while around 700,000 children die every year from diarrhoea caused by unsafe water and poor sanitation. Meanwhile, according to a World Bank Water and Sanitation Programme (WSP) report released on April 17, 2012, Ghana’s economy loses GH¢ 420 million (US$290 million, 1.6 per cent of GDP) each year, due to poor sanitation. Titled “Economic Impacts of Poor Sanitation in Africa – Ghana”, the desk study found that the majority (74 per cent) of the costs come from the annual premature death of 19,000 Ghanaians from diarrhoea, including 5,100 children under the age of five (5), nearly 90 per cent of which is directly attributable to poor water, sanitation, and hygiene. Health-related costs accounted for nearly 19 per cent of the total economic costs, while access time and productivity losses accounted for about seven (7) per cent. CONIWAS says it has chosen ”Building Effective Partnership for Scaling-Up Sustainable Sanitation Services in Ghana” as the theme for this year’s conference because it deems it as more appropriate in the context of Ghana in view of the serious sanitation challenges currently facing the country. These, it lists as poor individual and community attitude, poor and inadequate facilities, socio-cultural issues, weak institutional support mechanisms, weak enforcement of bye-laws and poor sanitation financing. Quoting from the 2013 Multiple Indicator Cluster Survey (MICS, 2013) report which estimates Ghana’s improved sanitation (safe toilet) access rate at 15% as at 2012, against the 2015 Millennium Development Goal (MDG) target of 54%, the Coalition laments that at the same time the open defecation rate of the country is currently 23%, having increased from 19%. The Coalition hopes therefore, that the outcomes of the Mole XXIV Conference and its activities in general, will be important in highlighting these critical issues at the district and community levels, and support communities to implement simple and sustainable measures to raise funds. 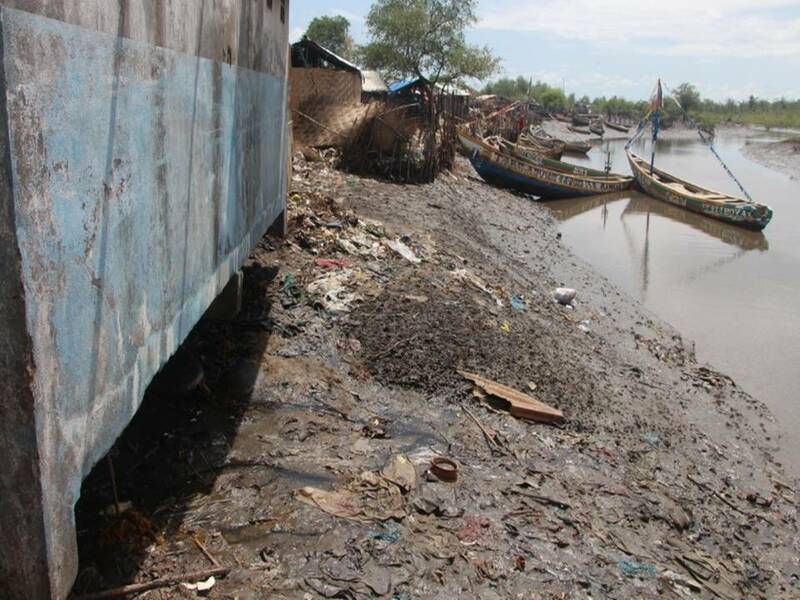 So from Tuesday, August 13 to Friday, August 16, 2013, Ghana’s NGOs in water and sanitation, governmental agencies, individuals and development partners will be dialoguing on issues meant to stabilise the country’s very shaky sanitation status. According to the organisers, the key objectives for Mole XXIV are to: Explore options and opportunities for sustainable sanitation delivery in Ghana, Examine public-private partnership models for accelerated sanitation delivery, Ascertain relevance of operation, maintenance, and user fees as financing options for improved sanitation delivery, Share knowledge and expertise on sanitation delivery and provide recommendations for policy advocacy and influencing. They hope to use knowledge sharing sessions, structured and expert panel discussions, exhibitions, structured media events, conference communiqué and report to arrive at the goals set out for the conference. Mole Conference is one of the biggest Multi-Stakeholder annual platforms in the Water, Sanitation and Hygiene (WASH) sector in Ghana and is named after the venue of the maiden edition, Mole in the Northern Region of Ghana. It brings together sector practitioners from NGOs, Government, Private Operators, Networks, CBOs, CSOs, etc. to dialogue, learn and share knowledge/ information on specific themes that affect the sector. The Mole Conference Series, which has witnessed consistent growth of interest and importance since its inception in 1989 among civil society, policy makers, local government and development partners alike, has evolved from what was primarily an NGO forum into perhaps the most important multi-stakeholder platform within the WASH Sector in Ghana.